Edo Waks received his Ph.D. in Electrical Engineering from Stanford University while working with Professor Yoshihisa Yamamoto in the area of quantum optics and quantum information. After graduating, he became a postdoctoral fellow at Stanford, working with Professor Jelena Vuckovic in the Ginzton Laboratory on nanophotonic implementations of quantum information processing, before joining the ECE Department as assistant professor for the Fall 2006 semester. He received his B.S. and M.S. from the Electrical Engineering Department at the Johns Hopkins University in Baltimore, Md. Waks is a National Science Foundation (NSF) Fellow and was a member of Tau Beta Pi, the engineering honor society, at Stanford. 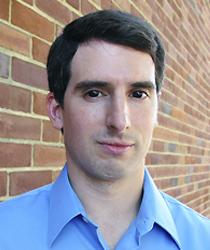 He won the Department of Central Intelligence Postdoctoral Fellowship Award sponsored by the Army Research and Development Activity, which funded his postdoctoral research. He received a National Science Foundation Graduate Fellowship (1996-1999), and the William Huggins Award for Outstanding Achievement in Computer and Electrical Engineering, from Johns Hopkins University (1995). William Huggins Award for Outstanding Achievement in Computer and Electrical Engineering, from Johns Hopkins University (1995). The project could enable new advanced quantum research and technology. UMD researchers have demonstrated the first single-photon transistor using a semiconductor chip. Shahriar, Usman, and Aneesh have been named among the top 2% of campus GAs in a given year. Active control of light makes new semiconductor devices. DURIP supports university research in technical areas of interest to the Department of Defense. Prof. Waks joins top silver of physics society’s membership. In this project, the researchers will engineer silicon-chip traps and integrated photonic circuits to provide the core hardware for a scalable and efficient quantum communication network. UMD is one of the top universities represented among the highly competitive grants awarded this year.